Give the gift of fitness classes with J&J Movement Factory. 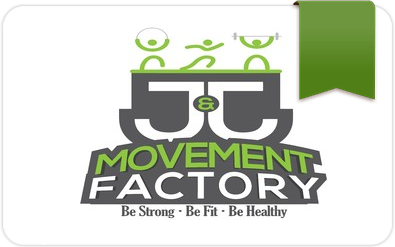 Check out www.jandjmovementfactory.com for the latest schedules for personal training, group training, yoga, high and medium intensity training, and more with one of our certified instructors. You’re first class is FREE, but after that, we have the lowest pricing and best variety of movement in town. And we promise no pressure sales techniques or additional product pushes from our staff. We are here because of our passion for fitness and health. Be Strong. Be Fit. Be Healthy.